The seemingly inexorable price escalation of fine Burgundy, especially when combined with the alarming fall in yields inflicted by recent climatic misfortune, has prompted at least one salutary consequence. Those of us infatuated by Pinot Noir as expressed in the Côte d’Or – that is, Red Burgundy – have been motivated to re-examine our preferences and prejudices and to evaluate anew lesser regarded appellations that may likewise offer the enchantment of fine Red Burgundy. For many, this process is another reminder that, whatever our conceits to the contrary, our penchant for certain appellations is to some extent a function of fashion. For example, the allure of Vosne-Romanée and Chambolle-Musigny is evident and fully justified; but there are démodé appellations — Corton and Volnay come immediately to mind – that can offer equally compelling if somewhat different takes on Pinot Noir. One such appellation that has been receiving considerable new focus is Marsannay-la-Côte, the northernmost and most recent (1987) AC in the Côte-de-Nuits. Although Marsannay today enjoys only “secondary” prestige within the Côte d’Or, this was not always the case. The wines of the Clos du Roy vineyard were appropriated by Royal Decree for the tables of Louis XIV and XVI; and several climats enjoyed the equivalent of Grand Cru status well into the nineteenth century. During the Belle Epoque, Marsannay became the dernier cri in Paris cafés. In 1919, Joseph Clair (Dom. Clair-Daü) originated Marsannay Rosé and it was quickly adopted by the smart set in Dijon society. Indeed, Marsannay (and especially the rosé) was in such high demand in adjacent Dijon, that vignerons sold all their wine locally and enjoyed singular prosperity during the Roaring Twenties (or, as the French say, Les Années Folles). Their success was such that Marsannay proponents perceived little benefit in promoting their wines during formation of the Appellation system in the early 1930s, and Marsannay was accordingly not included as an AC. When the fashion faded, and as the French economy descended into the abyss of the approaching war, Marsannay went into full eclipse. The village of Marsannay was founded in the Fourth Century as Marceniacum, in recognition of a Gallo-Roman named Marcenus, the seigneur of a large villa in the area. Marceniacum in Monte became Marsannay en Montagne and finally Marsannay-la-Côte. In 644 AD, the Duke of Amalgaire bequeathed the vineyards of Marsannay to the monks of the Abbot of Béze. According to local lore, commemorated by Phillip the Good in 1443, Charlemagne himself stopped and rested beside a fountain under a tree in Marsannay. The Marsannay Appellation comprises 228 hectares of vineyards in the communes of Marsannay-la-Côte, Couchey and Chenôve. There are 65 climats within the appellation, of which around 20 produce palpably more distinguished wine. Not surprisingly, however, the application for Premier Cru designations is mired in politics. The most distinguished lieux-dits, and therefore the ones justifiably anticipating premier cru status, include Clos du Roy, Longeroies, Les Grasses Têtes, and La Charmes au Prêtres (depicted in Pitiot as Les Rosey). The slopes of Marsannay rise gently from 260m to 320m, mostly facing eastwards over a base of Bathonian or Bajocian limestone. The topsoil is a dark brown mixture of marl, clay, limestone scree, Aeolian sediment and pebbles. Uniquely, Marsannay produces red, white and rosé wines of disntinction, Marsannay being the only Appellation in the entire Côte d’Or entitled to AOC status for its rosé wine. 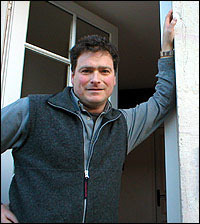 Clive Coates has observed that Pinot Noir produces perhaps the best rosé wine of all; and Marsannay is the most celebrated rosé in Burgundy. At its best, Marsannay rouge is rich, intense and robust, powefully textured with firm tannins, tending to exhibit dark berry and supple plum flavors, and boasting an appealingly persistent finish. Marsannay blanc, at its best, is round and balanced, with good concentration of melon and peach, slight mineral inflexion, with seductive vibrancy and a surprisingly long finish. Marsannay Rosé exhibits great energy and charm, with understated notes of strawberry and raspberry, wisps of lavender, with captivating vitality and a long, liminous finish. Excellent examples of Marsannay can be sourced from Sylvain Pataille, Camille Giroud and Bruno Clair. Wine lovers, especially Burgundy aficionados, often indulge the conceit that our preferences among appellations are determined solely by that part of the brain devoted to detached and judicious evaluation. The reality is that taste predilections in wine, as in music or art, are far more subjective; they are, more often than we’d care to admit, frequently a function of the fickle fancies of fashion. 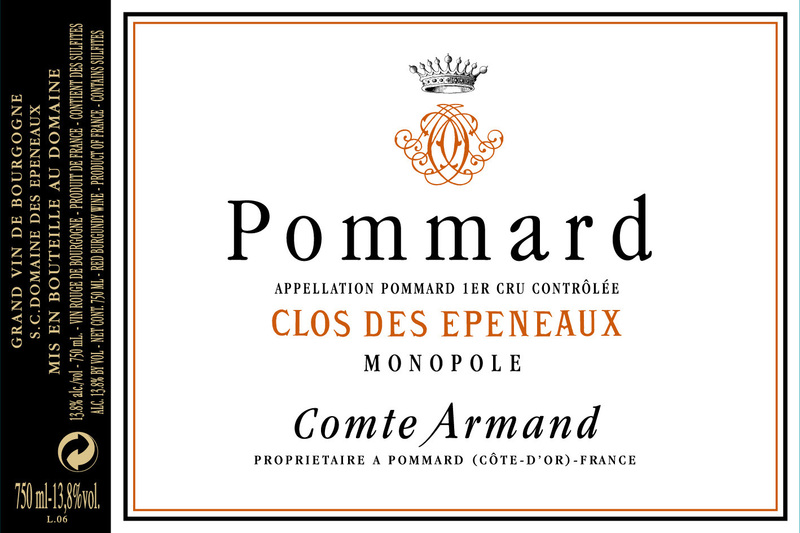 Pommard, for example, was among the two or three best known and esteemed appellations in Burgundy during the nineteenth century (and before). By the 1930’s, however, when the AOC laws were formulated, Pommard had slipped somewhat from fashion, an actuality reflected in relatively lower prices, for example, than the prices in Grand Cru-rich Gevrey-Chambertin. Accordingly, no Grand Cru designations (which were based almost exclusively on then-current price) were awarded to vineyards in Pommard. The consensus among today’s sophisticated Burgundophiles is that any contemporary reformulation of the qualitative hierarchy in the Côte d’Or would promote at least two of Pommard’s vineyards, Rugiens Bas and Clos des Epeneaux. In fact, the reigning arbiter of taste in Burgundy, Allen Meadows, would crown the Clos des Epeneaux at the very top of Pommard. Comprised of 5.2 hectares, the Clos des Epeneaux is one of the largest Premier Cru vineyards in Burgundy. The vineyard’s most remarkable distinction, however, is the fact that it has remained under single ownership within the same family since 1756. 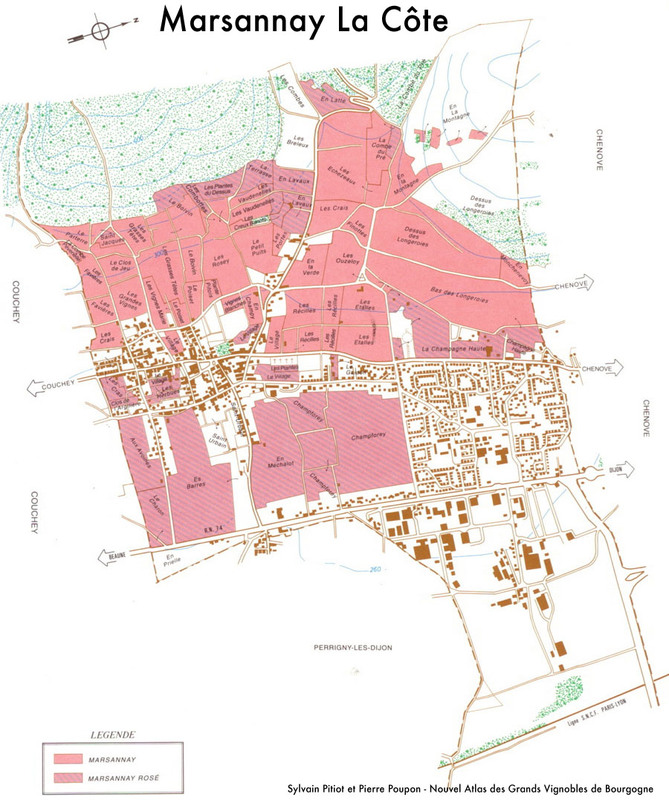 During the 18th century, the Marey-Mange family, related by marriage to the present owner, Comte Armand, acquired the entire 30.52-hectare Epenots vineyard in Pommard. Shortly thereafter, the owners carved out and walled in the Clos, which is itself composed of 4.6 hectares situated in the climat Les Grands Epenots and .6 hectares situated in the climat Les Petits Epenots. Significantly, the present manager of the estate, Benjamin Leroux, has determined that the vineyard walled within the Clos des Epeneaux is in fact geologically distinctive from the surrounding terrain outside the walls. The soil in the Clos is ferruginous marl (mixture of clay and calcium carbonate) combined with plentiful limestone debris over a subsoil base of Argovian limestone. Not surprisingly, the thinner and rockier soils are found upslope (260 meters), where the soil depth can be only 20-30 cm; downslope (240 meters) soil depths increase to measure 60-80cm. The Clos enjoys a beneficial microclimate, with a favorable east-facing aspect that permits maximum exposure to the morning sun. The wall vitiates the damaging potential of strong winds while at the same time permitting gentle breezes to move out pockets cold air as well as to dry out moisture that could lead to rot. The vineyard also benefits from an underground stream as well as from the abundance of limestone scree integrated into the soil fostering good drainage. By family tradition, the spelling of “Epenots” was poetically changed to “Epeneaux” (the suffix “-eaux” in French means waters) in honor of the underground stream. who had supervised the estate since 1955. Marchand jumped in and immediately started making changes. A devoté of organic and biodynamic winemaking, Pascal ceased the use of herbicides and started plowing the vineyard to cut surface roots and eliminate weeds. He adopted more natural farming techniques, aiming toward biodynamié, and significantly lowered yields. By the time that Pascal was lured away to take over Domaine de la Vougeraie in 1999, the wines of the Clos des Epeneaux has ascended in quality to the highest rank. The Count, however, demonstrating convincingly that his selection of Marchand had not been mere luck, made an equally inspired choice in selecting Pascal’s replacement, Benjamin Leroux. Determined to become a vigneron at an early age, and despite not coming from a winemaking family, Ben enrolled in Beaune’s Lycée Viticole when he was 13. Upon graduation, he took a Diploma in Oenology at Dijon University, and in 1990-1992 apprenticed to Pascal Marchand at the Domaine des Epeneaux. Leroux subsequently rounded out his practical training in Bordeaux at Cos d’Estournel, and then with universally-respected Jacques Lardière at Maison Louis Jadot. The prevailing wisdom in Burgundy is that small parcels of vineyards produce more terroir-specific wines by focusing on the attributes of the particular parcel. While this may be persuasive, it must also be realized that this rationalization may be borne from necessity: small parcels are what most winemakers have to work with. A compelling case can also be made for the virtues of composing wines from a somewhat larger vineyard. Benjamin Leroux, like Pascal Marchand before him, often muses on the virtues of being able to make wines from a complex of variables within a larger vineyard. A small parcel can be coaxed by a skillful winemaker into an exquisite sonata. A larger vineyard, with differently aged vines and a subtle variety of the same terroir can inspire a symphony. Initially, Leroux followed in the footsteps of Pascal Marchand, and divided the Clos into 4 blocks, picking and then vinifying each separately to produce four cuvées. The blocks were defined by age, with a “young block” of 22-26 year old vines; a middle-aged block of 30-46 year old vines; a mature block of 50- 66 year old vines; and an old vine block greater than 66 years old. Recently, however, Leroux has decided to base each block on its geology, and to replant portions of each such block in rotation, thereby providing each cuveé with its own age-mix of vines. Since the grapes mature at differing times within this large vineyard, several passes are required in order to pick the fruit from each block at optimal ripeness, and the harvest can take 8-10 days to complete. The vinification process for all four cuvees is essentially the same. After sorting, all the fruit from the Clos is completely de-stemmed and given a short pre-fermentation cold soak. Using indigenous yeasts, fermentation continues for about three weeks, after which there is a post-fermentation maceration of around a week. Fermentation is accompanied by remontage (pumping over) and pigeage (punching down), frequency being adjusted to the vintage. Fermentation temperature is regulated not to exceed 32°C; post maceration is kept at 28°C. Total cuvaison is limited to one lunar cycle of 28 days. The wines are then racked into Betrange oak and aged for 20-22 months. The amount of new oak varies with the age of the vines, with young vines receiving only 20% versus 80% for the older vines. Leroux carefully blends together wines from the different cuvees to produce the final Clos des Epeneaux for each vintage. Any wine not used in the blend is bottled as Pommard 1er Cru and as Pommard villages. As Eric Asimov has written, Burgundy is a “cascade of complications.” The conventional preconception and clichéd criticism of Pommard is that its wines are rustic and stolid. But these adjectives could never be rationally applied to the Pommard of the Clos des Epeneaux. 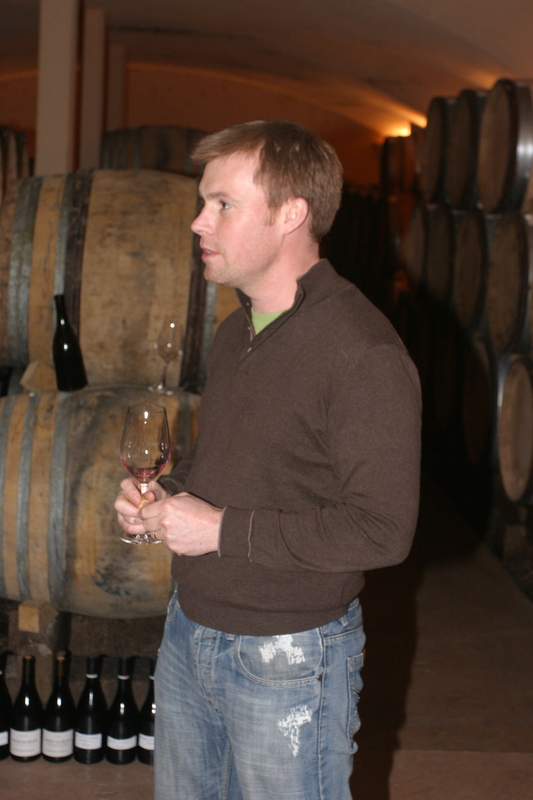 Ben Leroux’s wine is robust and with great structure. They exhibit a perfumed and expressive nose of black cherries,spice and minerality, an impressive concentration, round and smooth, in the midpalate, and a sweet, firm but velvety finish. The overall impression is one of class, grace, and elegance.